Our beautiful park requires lots of upkeep and maintenance. We couldn’t do it without our wonderful volunteers. Help is always needed and appreciated. 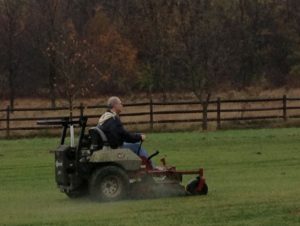 Volunteer duties include mowing, trimming, poop patrol, park rangers and Leadership Team participation. Click here to download the Fetch Volunteer Application. Periodically, Fetch needs new members on its leadership team. Team members function as a board, consulting with each other and making decisions that ensure the smooth operation and future of the park. The primary requirement is dedication to Fetch. Other valuable skills/experience might be board experience, community involvement/contacts, fund-raising skills, legal expertise, or landscaping knowledge. Board meetings are held at least twice a year, and members regularly consult with each other in order to manage the day-to-day operation of the park. Monitor activity when you are at the park. Answer questions pertaining to membership and rules. Remind park goers of rules and try to help diffuse incidents if necessary. Serve as a role model and Fetch advocate at the park. Report any park incidents that warrant further action to a leadership-team member. Donations are welcome but they are not tax-deductible. 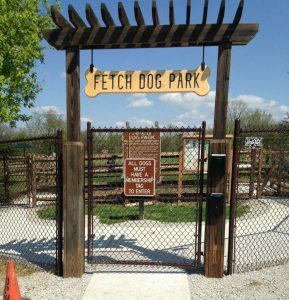 Help make Fetch Dog Park more beautiful while paying tribute to a special person or special pet in your life. 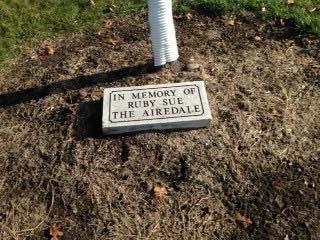 Our park is a pre-approved site for planting tribute trees in conjunction with City of Danville Pride Grows. For more information about volunteering or donations, please contact Elisabeth Grzelak at 217-446-9078 or use our contact form to send us an email.